Yesterday was Poesy's 2nd birthday. 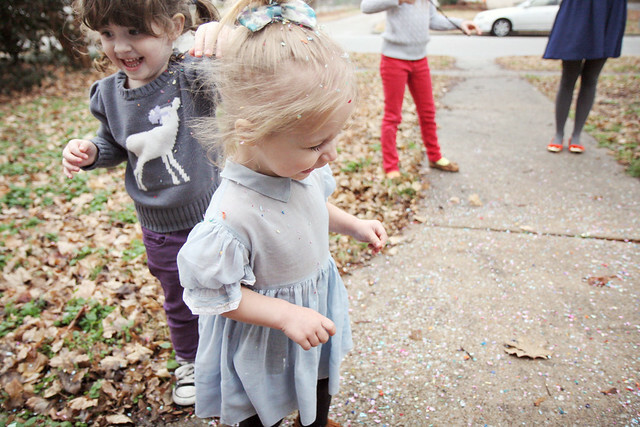 We invited some friends over to help us celebrate and made that little gal feel as special as possible. 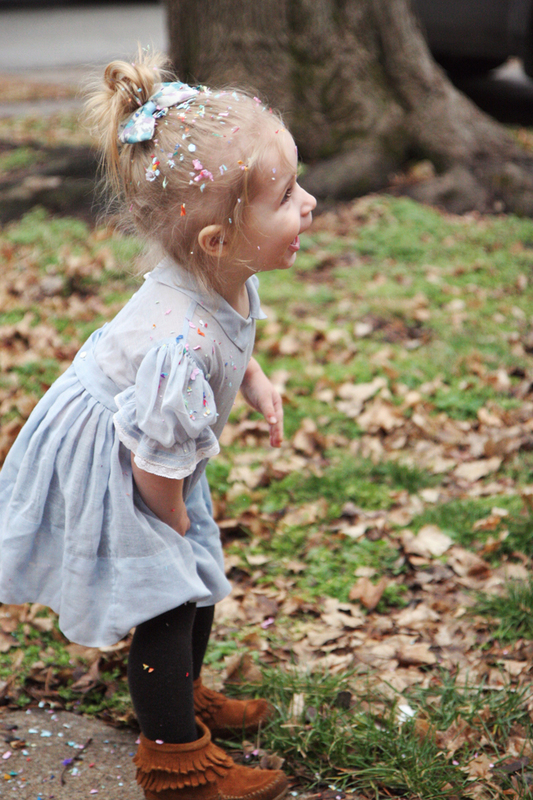 She chose donuts over cake, I made cardboard playhouses for the kids, Hope made a heart-felt gift (no surprise there), and there was a confetti free-for-all at the end. I can't believe how fast time is going this time around, but I know that it's my job to make these moments count. Second birthday = success. 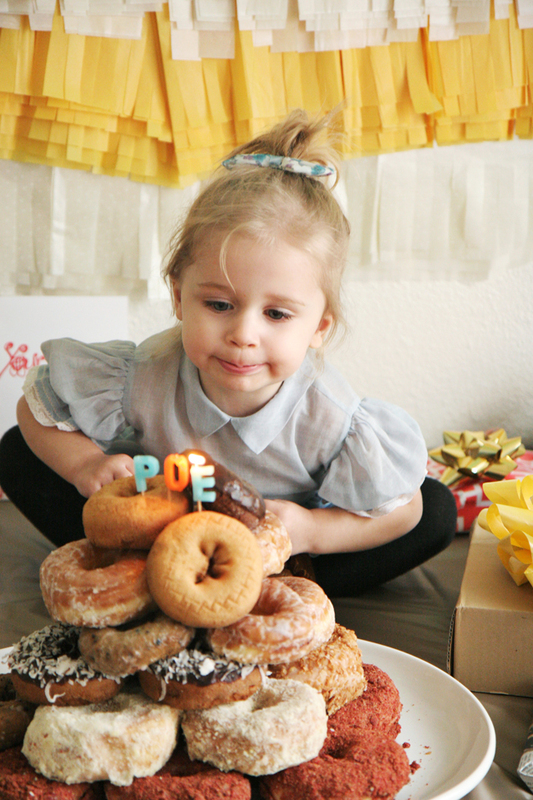 Aww, Happy (belated) Birthday to the Poe, she is so cute. love how much hope loves her baby sister. 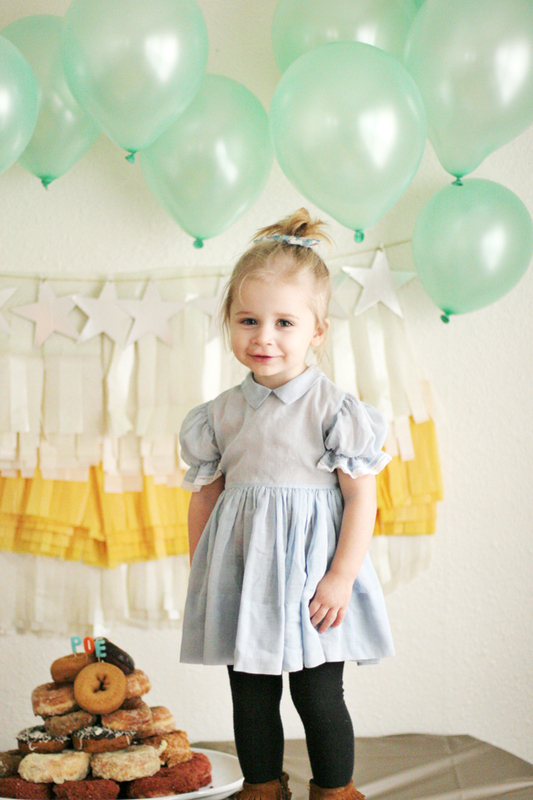 Yay Happy Birthday Poe....at least I get to share my Birthday with the cutest little girl ever! My god, she is so cute. 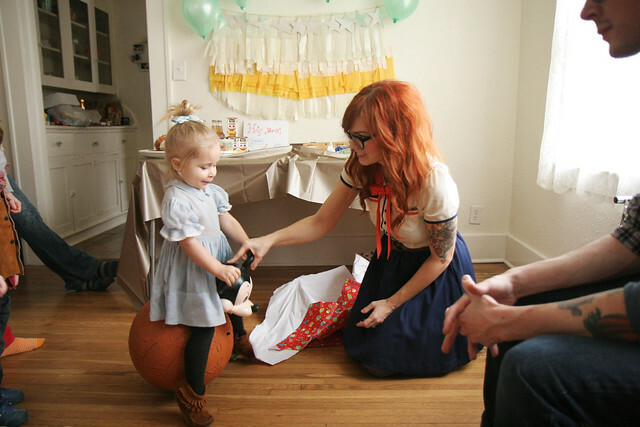 And her dress is adorable! Happy birthday poe! These pictures are so great! 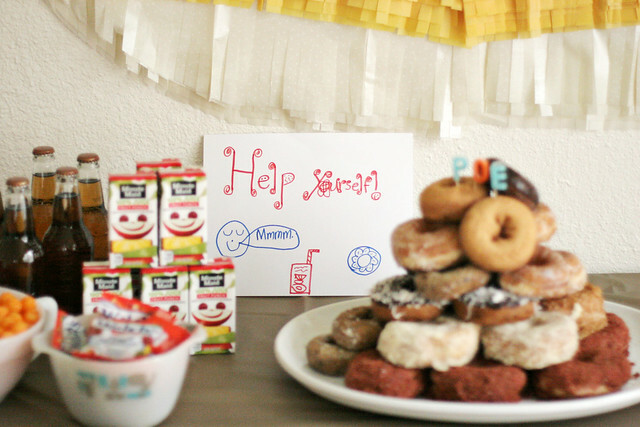 Im really loving the donut idea for the "cake"! Awww, happy birthday to her. She's so adorable. Kinda reminds me of the Olsen twins when they were little. I love the donut cake! she is the cutest thing I've ever seen! and I love your dress here too! She's so lovely! Happy birthday to your little swweet girl! My daughter is too 2, love this age! Happy birthday cute, little Poe!! happy 2nd birthday, little Poe!! Aww what a cutie! Looks like a very fun birthday party and she looks so very happy too! Happy Birthday Poe! Gosh, she's such a darling! OMG she's so cute I can hardly stand it! Happy birthday to Poe! Hope has such a good heart! Happy belated birthday, little Poe! So cute! Happy birthday Poe! OMG What a preciously cute little 2 year old. Happy Birthday Poe! Eeeheehee! Those last two pictures are especially beautiful! Happy Birthday, Poe! 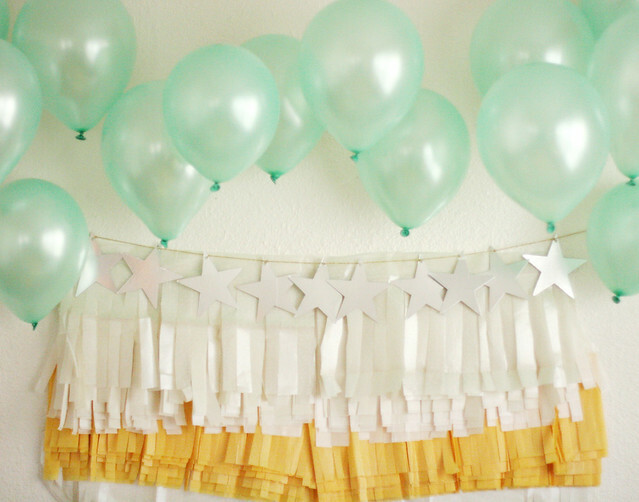 What an adorable and fun party! Did you make the backdrop to the dessert table yourself? Gorgeous! I would love to see how that's done! What a fun birthday! Poe is soooo adorable! Happy Birthday Poe! Happiest of birthdays to the little one! SO ADORABLE!!! Happy birthday, Poe!!! Oh my goodness. Cutest. She's gotten SO BIG. love the idea of a confetti free for all! Happy belated Poe! 2 is so fun!!!! How cute she is! Hope she loved her birthday! 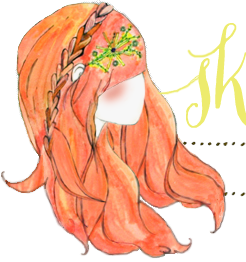 She is so beautiful Katie! I love that she chose a donut tower, smart girl!! You did a great job on the decorations, Katie! 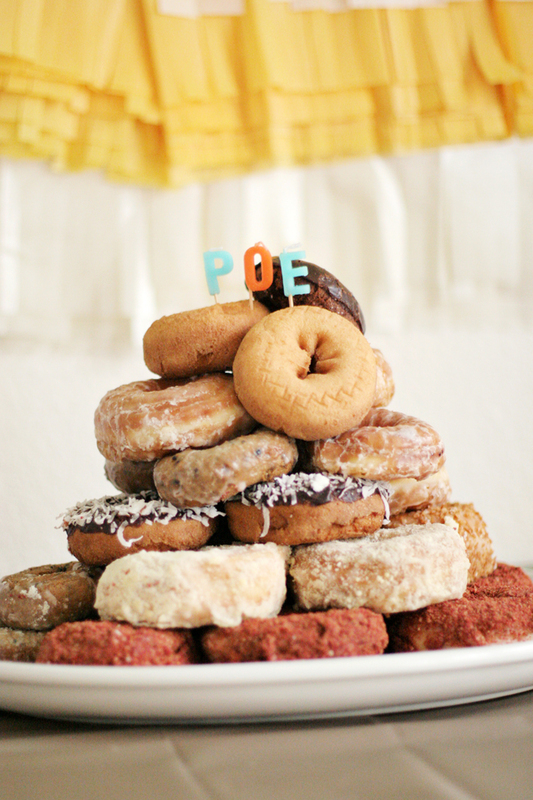 Sweet Poe, your donut tower looks yummy. May I have one donut pls ? : ) Happy bday, dearie. She is SO CUTE! Happy Birthday Poesy! 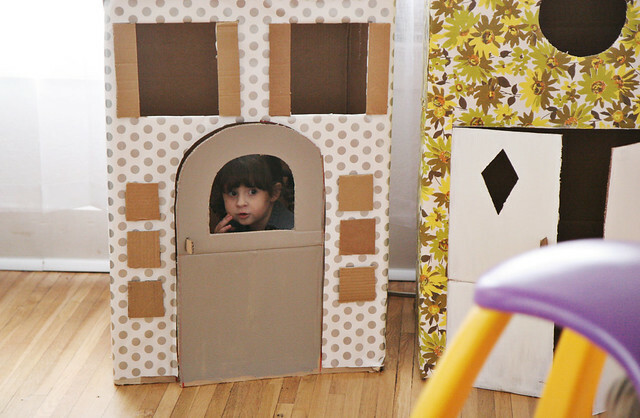 Looks like such a cute party - the cardboard houses are so great! And Poe seems the happiest birthday girl ever! What a cute party! Love her outfit. Her birthday "cake" looks amazing! 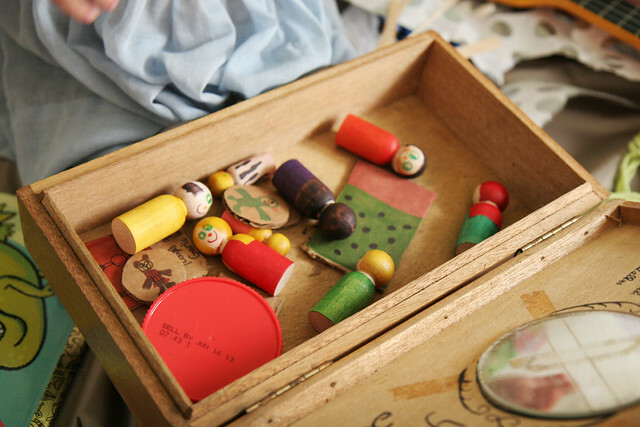 She's a doll - just like her mother! Gorgeous! 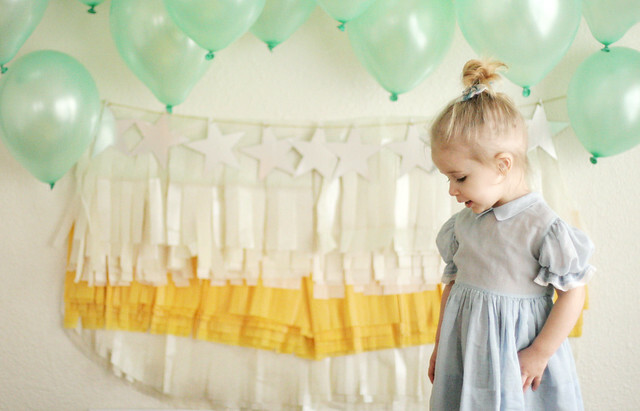 What a cute party and little lady. It's my son's birthday next week and will try to make it a sweet one too. Thanks for the inspiration!